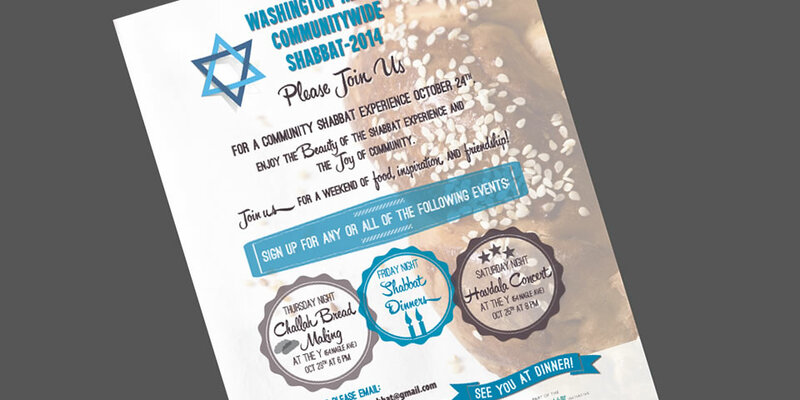 I was asked to design a poster for the Washignton Heights Communitywide Shabbat as part of the worldwide Shabbat Project 2014. 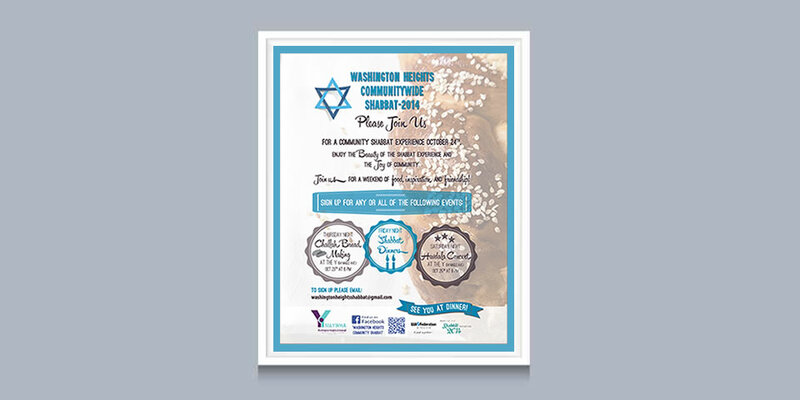 The poster had to have an obvious Jewish element (the Star of David) as well as being appealing to a young and trendy audience. I achieved this by using unique typography and vintage style elements.